Augusta, GA – Curt A. Newsome, 63, husband of Cynthia Newsome, entered into rest Thursday, February 7, 2019, at his residence. Funeral services will be held Tuesday, February 12, 2019, at 4:00 PM from Hillcrest Baptist Church with Reverend Todd Wiggins officiating. 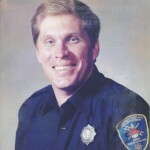 Mr. Newsome, son of Catherine Williams Newsome and the late Alva “Al” Newsome, was born in Augusta, and retired after 29 years as a fireman with the Savannah River Site Fire Department. He was a member of Hillcrest Baptist Church where he sang in the choir and attended Sunday school. He was co-founder of Newsome Electrical Construction LLC. In addition to his wife and mother, he is survived by his sons, Chris Newsome (Terra), Chance Newsome (Leslie), Casey Newsome (Elizabeth), and Caleb Newsome (Christina), all of Hephzibah; his grandchildren, Hailey, Hunter, Layla, Brooks, and Ava Cate; and numerous cousins, with whom he was planning a reunion in September of 2019. Honorary pallbearers will be Tim Wright, Richie Martin, Ken Newsome, and the Savannah River Site Fire Department. If so desired memorial contributions may be made to National Fallen Firefighters Foundation, Georgia 9/11 Memorial Stair Climb, PO Drawer 498, Emmitsburg, MD 21727. The family will receive friends, Monday, February 11, 2019, from 6:00 until 8:00 PM at the funeral home.